The Trump administration has initiated a trade dispute with China with the stated goal of reducing America’s bilateral deficit. But given the strengthening dollar and expansionary US fiscal policies, the US trade balance will almost certainly worsen for the foreseeable future. Now that they are on the receiving end of US tariffs, Chinese policymakers have three options. First, they could capitulate, by scaling back many of the “discriminatory practices” identified in the US Trade Representative’s March 2018 report on technology transfers and intellectual property. So far, there is no indication that China is considering this option. Second, China could escalate the dispute. It could set its own tariffs higher than those of the US, apply them to a larger range (and greater dollar value) of US exports, or offset the impact of US tariffs on Chinese exporters by allowing the renminbi to depreciate against the dollar. Alternatively, policymakers could look beyond trade in goods to consider capital flows and related businesses associated with US firms, effectively allowing the authorities to impede US financial and nonfinancial firms’ Chinese operations. As with the first option, this one seems unlikely, at least at this stage of the dispute. So far, China has chosen the third option, which lies between capitulation and escalation. China has retaliated, but only on a like-for-like basis, matching US tariff rates and the dollar value of trade affected. At the same time, it has tried to claim the moral high ground, by eliciting international condemnation of protectionism and unilateralism. This hasn’t been difficult, given that several other major economies are currently facing US tariffs. Securing such third-party buy-in is critical for the Chinese leadership’s domestic position. If the government were perceived at home as being bullied by the US, it would have to take a much tougher line in the trade dispute. For its part, the US actually has rather limited options, despite having initiated the dispute. Even for a notoriously unpredictable administration, a full and unconditional reversal on tariffs seems out of the question. But so is the status quo, now that China has already leveled the playing field by retaliating in kind. That leaves only escalation — a possibility that the Trump administration has already raised by threatening additional tariffs on all imports from China. To be sure, escalation could be avoided through dialogue, or with a meaningful reduction in the US trade deficit. But neither of those outcomes is probable in the short term. There has been senior-level radio silence between the two sides since mid-May, when Chinese Vice-Premier Liu He last visited Washington. At the G20 ministerial meeting in Argentina in July, the US announced that there would be no bilateral talks with the Chinese. Without talks, a reduction in the overall US trade deficit could still provide political cover for the Trump administration to ratchet down the dispute, even if the US-China trade balance remains unchanged. The problem is that economic conditions in the US are pointing toward a further expansion of the trade deficit. For starters, the Federal Reserve Bank of Philadelphia’s Future Capital Spending Diffusion Index suggests continued strength in US manufacturing investment. Although index readings have eased since the start of 2018, they remain close to 30-year highs. Moreover, since the 1970s, the index has been strongly correlated with — and a leading indicator of — actual investment spending on machinery and equipment, which in turn is highly correlated with US imports and the trade balance. Thus, optimism in the manufacturing sector will likely contribute to a widening of the trade deficit as imports rise to meet investment needs. A strengthening US dollar will have the same effect. On a broad trade-weighted basis, the dollar is back to where it was between the late 1990s and the early 2000s, when US import growth consistently outstripped export growth and the trade deficit doubled in nominal terms, to $400 billion. On the basis of the exchange rate alone, it is difficult to envisage the trade deficit declining, especially now that rising US interest rates and accelerating economic growth are supporting the dollar. A final factor to consider is the exceptionally expansionary US fiscal position, which is making a notable contribution to the above-potential economic growth and the business optimism that surrounds it. With explicit government support for strong growth and a restoration of the manufacturing sector, it is no wonder that investment intentions are favorable. The US appears to have inadvertently entered a policy cul-de-sac on trade. 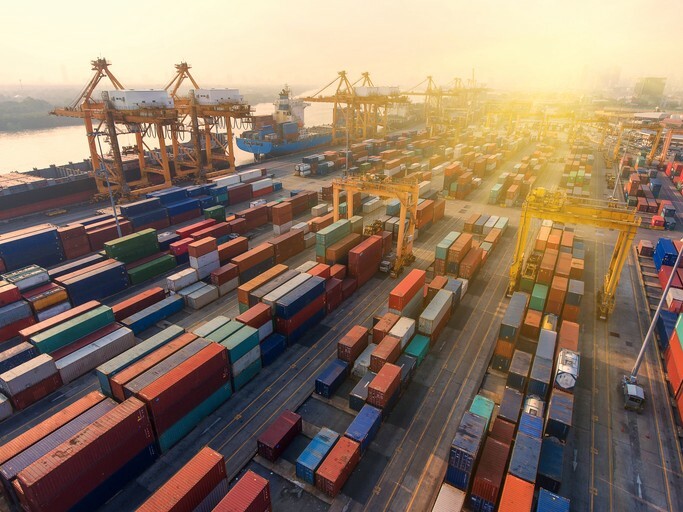 By pursuing fiscal stimulus and talking up the importance of manufacturing, the Trump administration is encouraging investment spending, thus making the trade deficit worse. And with rising interest rates alongside strong growth, the dollar is likely to drift higher, adding to the headwind facing US exports. Under these conditions, the more the US tries to solve its trade “problem,” the bigger that problem may become. The risk now is that the Trump administration, frustrated with its own policy outcomes, will double down. Though it has already gone too far, the administration might well think it has not gone far enough. Originally published and copyright: Project Syndicate, 2018.